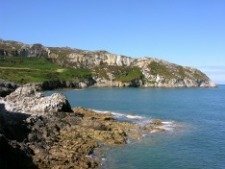 Here is a map of Anglesey to help you during your visit to our beautiful island off North Wales. 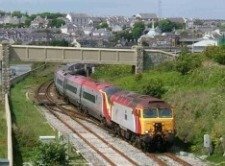 Will you come by train and arrive in Holyhead? Or will you drive here along the A55 coast road or the A5 mountain road? However you plan to travel to Anglesey we hope this information will make things a little clearer. As you visit other pages there will be a link so that you can refer back to this Anglesey Map page. Look at the map of Anglesey above and you can see some of the places of interest. 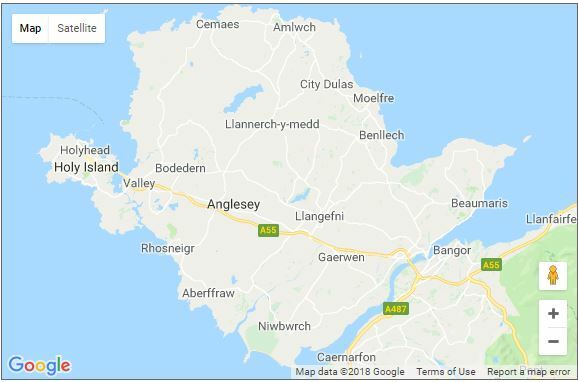 You can see the location of the new RAF Valley Anglesey Airport which is about a mile or so south of the main A55 trunk road nea the Caergeiliog junction. To the west this Anglesey mapshows the major, strategic port for the Holyhead Dublin ferry crossing. Nearby you can take a short drive or catch a bus from the town to South Stack Lighthouse. 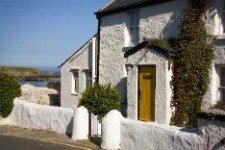 There high on the cliffs you will experience spectacular coastal views to Bardsey island and the the Isle of Man. And if you are a nature lover, there's the RSPB watch at Elin's Tower. With a great vantage point and powerful binoculars available on site, you can watch the puffins nestling in the rocky crevices below. A very observant visitor can spot numerous examples of flora and fauna, both on land and at sea. I have seen dolphins and seals and, yes, a baskin shark in the past. It can be a matter of luck, but it's exciting because you never know what you might see. On a clear day and looking west it is possible to see the Wicklow mountains in Ireland. That's a great feeling! 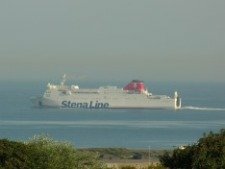 What's more, if you climb to the top of the cliff overlooking the lighthouse and focus your eyes northwards and beyond the Skerries, you can make out Snaefell, the highest peak on the Isle of Man. Again a wonderful experience. And all around you, the gorse, sea pinks laying a thick mat over the hard igneous rock. Then, look at the map again and on the eastern side of the island you will spot Beaumaris, the historic town where you can visit the famous Castle built by King Edward I and is now a World Heritage site. During the last week of May, the Bank Holiday weekend and into June, visitors to the island can enjoy the excellent music, arts and crafts on at the Beaumaris Festival. While there try to visit the old Court house and Gaol, not to mention the Museum of Childhood on Castle Street. Taking the A5025 south out of Beaumaris and through Menai Bridge, where you can see the famous Telford Suspension Bridge, you can make your way to Newborough. This is a must for those of you who love nature walks and bird watching. 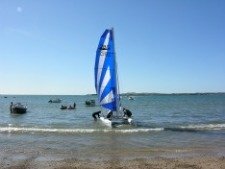 Newborough Warren is a pearl of wildlife, and here you'll experience many birds and land animals in their unspoilt natural habitats. Next to the warren is the extensive Newborough Forest, a large expanse of coniferous trees which leads to some soft sandy beaches, such as Llanddwyn. And yes, more breathtaking sea views here. So we hope this map of Anglesey will be a real resource for you. The map of Anglesey above also shows you Llyn Alaw (Lake) in the centre of the island. This is a great place for the keen angler and those interested in getting a closer view of a wind farm in operation. You may want to find some information either about Anglesey or something more general. You can use the Search tool below, it's a breeze! We hope you have found the map of Anglesey facility above helpful as you plan your visit.